Zong Guoying was elected head of Tianjin's Binhai New Area at the first session of the first People's Congress of Binhai, which closed on Sunday. Zong is Binhai's first chief executive after the Binhai administration was overhauled beginning last November. He said he felt "honored and proud" to have the opportunity to devote himself to the development of Binhai. Binhai authorities announced last November that their plan to streamline Binhai's administrative structure had been approved by the State Council. According to the plan, three former municipal districts in east China's Tianjin - Tanggu, Hangu and Dagang - will be integrated to form the new Binhai district. The new district covers an area of 2,000 sq m in size, with a population of 1.47 million. Under the new administration, Binhai will be given greater autonomy for its development and reform. Born in 1963, Zong, who holds a doctoral degree in economy, worked overseas for more than 10 years. 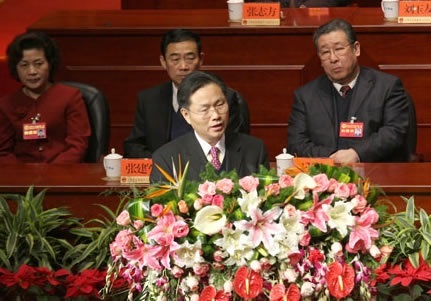 He was elected vice secretary of the Binhai CPC Committee in 2009.